The decision of the Philippine Olympic Committee commission on elections composed of Frank Elizalde as chairman, Bro. Bernie Oca of De La Salle and congressman Conrado Estrella Jr, chairman of the House of Representatives committee on Youth and Sports, in disqualifying Ricky Vargas from running against incumbent POC president Jose “Peping” Cojuangco who is seeking a fourth term as president is legally flawed and ethically seriously questionable. In a series of self-serving rules that effectively were approved by Cojuangco and his henchmen in the POC General Assembly, Vargas was disqualified as they claimed the rules introduced primarily by Cojuangco barred any individual who sought the office of POC president from running for the highest office if he failed to attend at least fifty percent of the General Assembly meetings and that the sending of a representative was not enough. However, when you use the word propriety, Cojuangco supporters are going to have a hard time defending the “propriety” of seeking a fourth term as though there was nobody else qualified to seek the POC presidency. 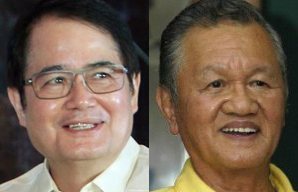 Surely fair play and justice, let alone fundamental integrity dictate that other qualified individuals who wish to help Philippine sports that has gone through one disaster after another even in the low-level Southeast Asian Games, be given a chance to face-off against Cojuangco who is 82 years old. Being 81 ourselves we don’t – and cannot truly consider Peping’s age a handicap because when he shook our hand at a recent TV 5 affair in a tribute to our Rio Olympic delegation, his grip was strong. Besides, he plays a round of golf once a week to stay in shape. Ranged against this is the fact that the International Olympic Committee Constitution demands that any candidate for the POC presidency must be not over 70 years of age. 3.3 Age limit: 3.3.1 Any IOC member ceases to be a member at the end of the calendar year during which he reaches the age of 70. On the Extension of age limit: the rules state The Session may, on the proposal of the IOC Executive Board, extend the age limit for any IOC member who is not subject to the transitional provisions set forth in specific board resolutions which state "There may be no more than five such IOC members for whom the age limit is extended at any time. Any extension will be for up to a maximum of four years." Mr. Cojuangco doesn’t fall into that time frame. Another distressing aspect of this scandalous episode is that Frank Elizalde in flatly refusing to talk to us, a legitimate media practitioner with sound credentials who has been in the business for over 55 years, betrayed his abrasiveness and a warped mentality that did a terrible injustice to the respected Elizalde name. Perhaps he believes that our country is still under Spanish rule! Obviously “Peping” and his dwindling number of cohorts felt threatened by the widespread demand for change under Vargas’ leadership which has the unstinted backing of the eminent businessman-sportsman Manny Pangilinan who currently supports no less than eight different sports and several presidents of National Sports Associations with the Football Association head Mariano Araneta who thought about seeking the office giving way and supporting Vargas. Against the utter lack of class of Frank Elizalde, Ricky Vargas demonstrated his personal decency when he told us he didn’t wish to take the Elizalde Comelec decision to court because the IOC may claim it is government interference which it loathes and would therefore hurt Philippine sports. Ricky Vargas is truly a sportsman and more so a gentleman. The Elizalde decision to disqualify Ricky Vargas is a blow against the development of Philippine sports and not merely undermines all that is progressive and good but tears at the fabric of the search for human excellence. How sad it is.